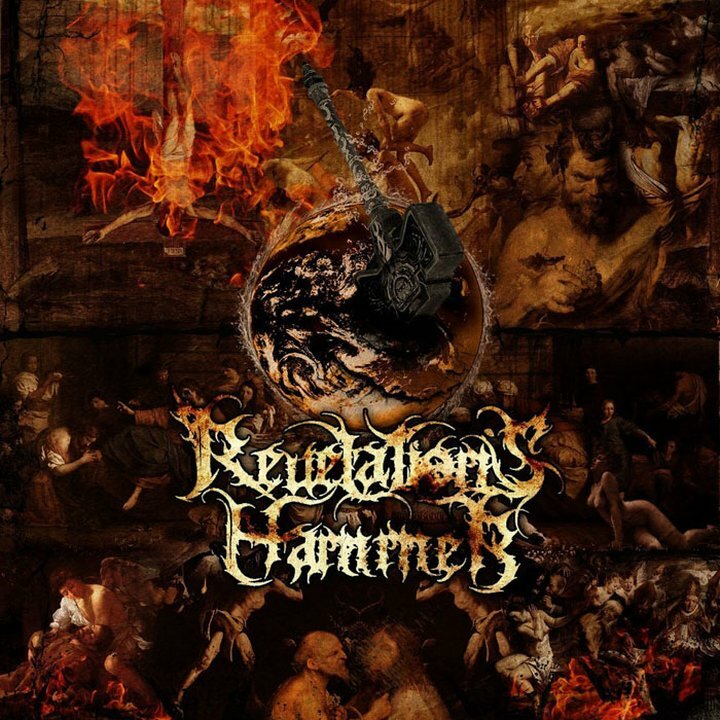 With their unique and impressive sound of dark, epic and powerful Black Metal, REVELATION'S HAMMER is expected to be considered as one of "the next big things" within the Scandinavian Black Metal movement. Epic song structures, devastating and hateful vocals, ultrafast tremolo riffing, hellish drums of another dimension and apocalyptic atmospheres that really brings forward a true sense of doom. The throat and strings is managed by bands' mastermind ACCUSER while their heavy battery is performed by MYRVOLL from Norwegian NIDINGR. The album is mixed by Børge Finstad at infamous Toproom Studio (MAYHEM, BORKNAGAR) and mastered by legendary Peter In de Betou (WATAIN, DIMMU BORGIR, DARK FUNERAL). EXILIS from TROLL appears as a guest musician on some of the tracks. The artwork is put together by Portuguese Ricardo Fernandes. For fans of EMPEROR, DARK FUNERAL and WATAIN.